In its day the now revered Rolls-Royce 40/50HP – more commonly known as the Silver Ghost – was rightly considered to be the best touring car in the world. In 1906, before ‘regular’ 40/50HP production commenced, Rolls-Royce submitted its Silver Ghost to some very public durability trials in its silver Barker-bodied ‘Roi de Belges’ which it accomplished with aplomb, setting the exceptionally high standard for all subsequent examples of the British. 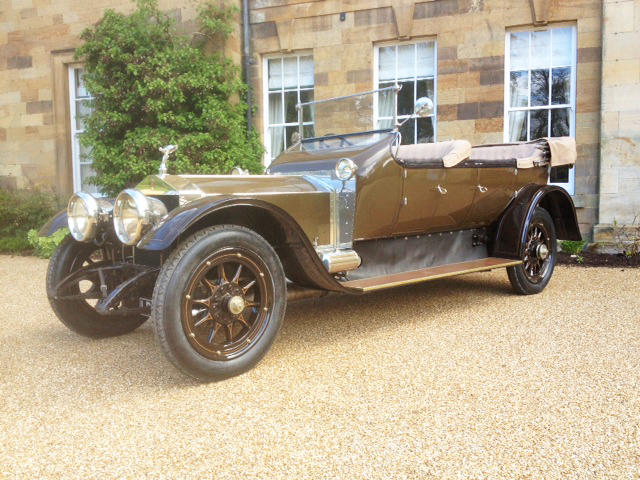 As with a number of Silver Ghosts, this fine 1912 model wears a Tourer body, crafted by London-based coachbuilders Barker. Founded in 1910, Barker quickly established an enviable reputation for its fine coachwork, going on to build horse-drawn carriages for the British Royal Family, including King George III. In 1912 Barker also bodied another well-known Silver Ghost – the silver 40/50HP Double Pullman limousine that famously formed the basis of the Corgi 1/43rd scale model that so many schoolboys cherished as a toy in the 1960s and 70s. This imposed Edwardian motor car, set to grace the Fountain Gardens at Hampton Court Palace at the 2014 Concours of Elegance (5-7 September), has criss-crossed the Atlantic more times than David Frost. It began life in England, was sold to Newfoundland, returned to the UK, went to Pensylvania, came to Suffolk, and then headed to Florida. It now resides back in Britain.